Kyire’s sure had his bone-head moments. It’s led us to believe that the gifted athlete isn’t the sharpest tool in the shed. From publicly critisizing ex-teammate (and they guy that helped him get a ring, mind you) LeBron James, to his bizarre comments on the earth being flat. Well, there’s been another incident. And it’s disrespectful AF. Earth to ​Kyrie (pun intended)! 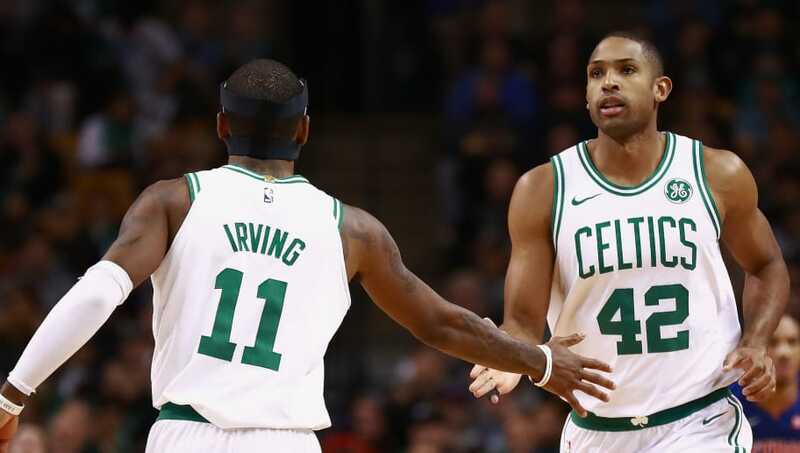 ​Al Horford, a 32-year-old, 11-year ​NBA veteran is right there next to you, starting at the 5. He’s the most consistent player on your team, and arguably the most consistent center in the league of the last 10 years on both ends of the floor. But considering Al Horford’s maturity as a veteran, we’re sure he’d know how to handle the situation without causing a scene. This just proves that Kyrie doesn’t think before he speaks, which is never a good trait to have.